If enough people misspell a search word, Google will make the misspelling “valid” and direct them to the correctly spelled search word. If enough people ask for courses in an area that they think they need, the market will be flooded with how-to courses on that subject – even if it’s premature, overly simplistic, or downright detrimental to their ultimate goals. Generally, folks requesting such a course need a more comprehensive understanding of their strategy before they choose a tactic. It’s like seeing a chess game, wanting to play, and thinking, “If I could just understand how the pieces move, I could win.” Then they pay good money to learn how the pieces move. Then they get checkmated time after time because they have not prepared for the strategy and nuances of the game. If you are new and inexperienced at brand building in retail, do you really know enough to ask the right questions, seek the right education, and get the big picture that could save you tons of time and money? Or are you asking for what you think you need with your limited experience? Most businesses fail because they expand faster than they can service what they sell. Go no further than the brand builder who has actually tried to gain distribution in the marketplace and got shut out, or as we say, “run into the distribution wall.” Just like the chess player who can move the pieces but can’t sustain or win the game, this brand builder believed when he got into the market that he knew all he needs to know. New CPG brand builders should be cautious about what they ask for. It may be too simplistic. It may be too inexperienced. It may actually get you in trouble. Remember, you can’t be discontinued permanently from a large chain or box store or until you are in that store. It is then that the issue of staying in and growing suddenly makes “just getting in” pale by comparison. It is then that the true cost of sales makes itself known. The strategy is not simply getting into a chain. The wise brand builder looks to folks who have gone from product ideation and creation to seeing their brand acquired. For anyone to achieve this, they had to not be discontinued, which means they got their product on the shelf and they kept it on the shelf. It means they knew how to finance expansion and oversee both distribution and retail. And if they got paid for their idea through an acquisition, it was because they grew large enough to become an acquisition target. We like to say, “If you want to get paid for your idea, wrap your idea in a product, wrap your product in a business, wrap your business in a brand, and build your brand ‘til you become an acquisition target. 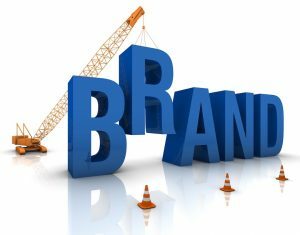 Then your acquirer will pay you for your brand equity.” So, the strategy is not simply getting into a chain. That is merely the first step, the entrance into the game. Now you must play, and win! 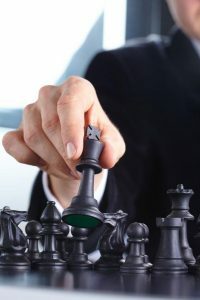 By understanding your long-term strategy first and understanding the financial requirements of growth, you can apply the winning strategies and avoid hitting the “distribution wall.” Check out www.shelfsmarts.com and get the big picture first. So, when we hear, “I have a great idea! I need to get in Walmart or Costco!” we just roll our eyes. We know they need a whole lot more than that. Hopefully, they will learn the required strategies before they set foot in those stores!